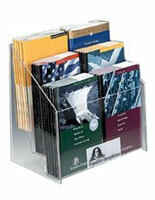 3 Tiers with 4 Pockets Each for Compact Display. 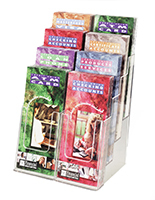 Permanent Dividers to Keep Literature Tidy. 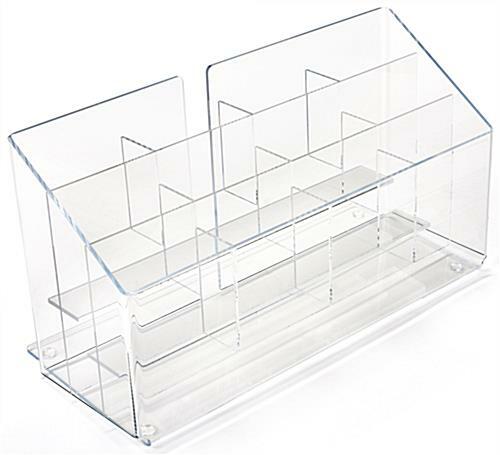 Acrylic Construction is Cheap and Transparent for Easy Views. 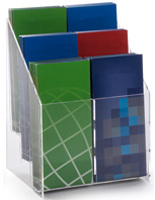 This 12-pocket brochure holder for counters is a great organizer for banks whose desktops are full of pamphlets. 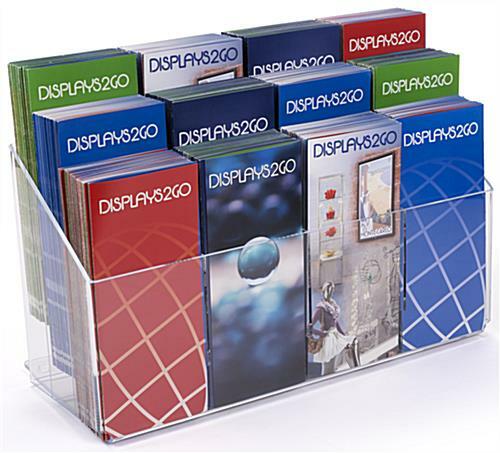 The literature display has 3 tiers with 4 compartments per level and the compartments have permanent dividers so no sliding around of material. 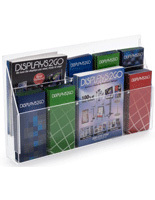 The brochure holder with acrylic construction is transparent to allow everyone to easily view information. 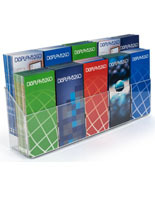 The desktop literature display is a compact unit because the slots are placed in tiers and not side-by-side. 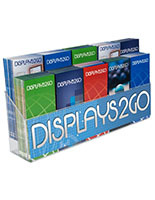 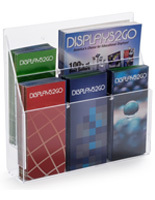 The holder offers 2" deep pockets for displaying plenty of distribution materials. 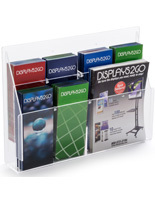 Acrylic is durable, but also affordable for cost-effective units that will last.